This work is a complete, comprehensive and progressive teaching and learning programme. 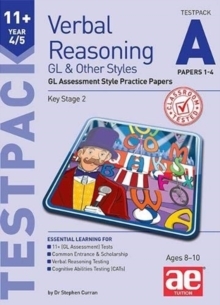 It is for children sitting 11+, SATs, common entrance and scholarship examinations. Arranged in a topic by topic format, it adopts a more traditional approach. A unique code is used covering Information, Technique and Exercises. 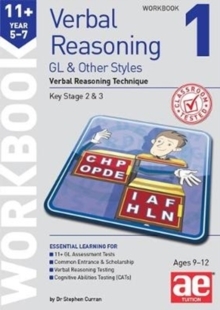 Clear methodologies, with examples, are given for each technique. 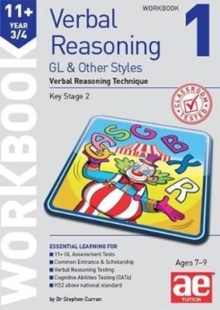 Plenty of practice exercises are also included. All books are rigorously classroom tested. Methodologies have been used in AE Tuition classes for over 20 years. There is over 85 per cent success rate in 11+ and selection tests. 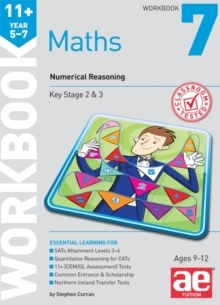 These books are designed to be used in sequence from Workbook 1 onwards and are frequently revised and updated.